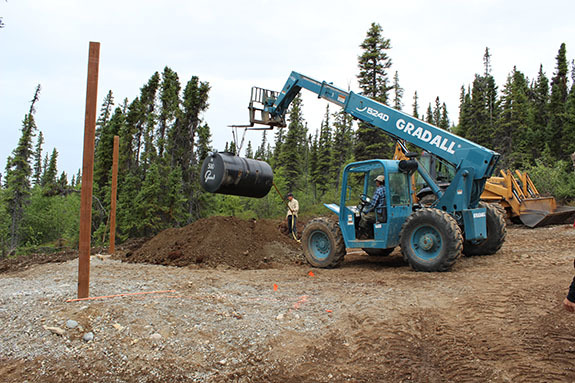 MountainAire Builders has equipment available for rental at Keyes Point. All equipment rental rates include fuel and our experienced and insured operator. We are happy to assist our Keyes Point neighbors with large or small projects. 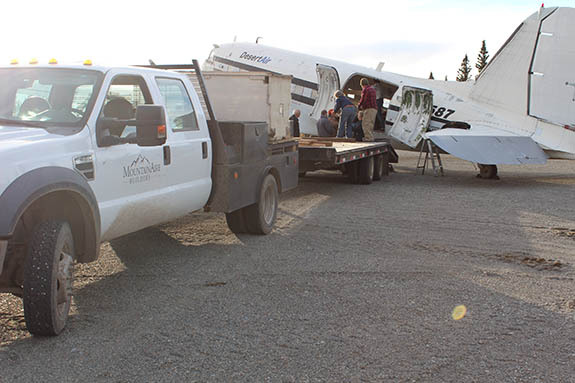 We may be able to provide equipment work at other projects in the Lake Clark area, off Keyes Point, depending on our workload. Simply drop us an email or give us a call to discuss your needs. Boom forward reach is 21 feet, max lift height is 32 feet, max lift capacity 6000 lbs. 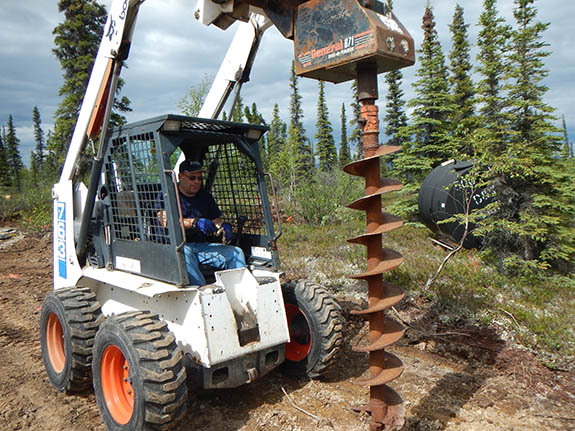 Available with bucket, forks, post hole auger or 60" trencher. Ford F450 4x4 flatbed pickup with 24' tandem heavy duty trailer. Perfect for transporting material to your lot from the barge dock or the airport.